The First State Election in Detroit, Michigan, 1837 oil painting by Thomas Mickell Burnham seems to depict a lively crowd standing in Campus Martius on Election Day. However, dark clouds loom as Stevens Thomson Mason, who was elected the state’s first governor, is shown buying votes. Drunken people fill the streets as an African-American boy is seen begging while others sit in the mud. Turns out, it’s not so light hearted after all. 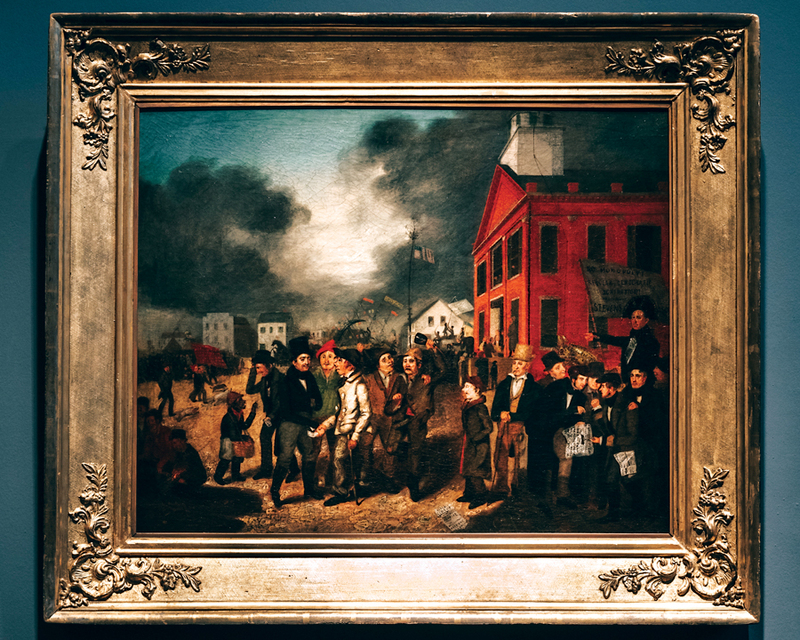 Scholars say the painting is a satirical take on the disorderly politics of the 1830s, and was possibly paid for by the Whig Party to advance their agenda while defaming the Democratic Mason and his party. 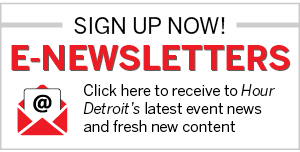 While today’s politicians, including those on the ballot for this month’s Detroit mayoral primary election, aren’t likely to commission a painting to support their platform, opinions will still clash as they ask the voters to believe in their ideas. Despite it being 180 years later, it’s still important to see the bigger picture.